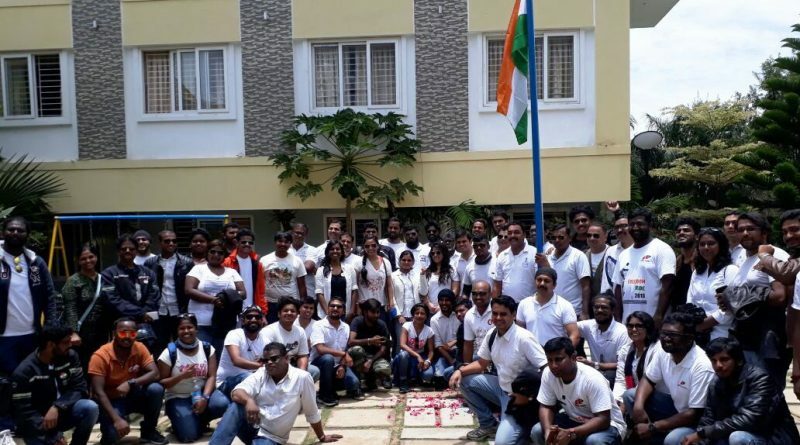 Bangalore: The night before Aug 15th, 504 members in the going list on the event. 504 members for a ride of 300 km? What is it about? This was not just our group’s Freedom Ride, but associated with many many things around. Many of them haven’t slept the whole night was the excitement levels. Also here its about Surbhit Kant Dixit. Riders were supposed to start at 4:00 AM from different part of the city and then we have seen cars floating, roads blocked, roads submerged with the highest rain in last 10 years in Bangalore city. Our riding crew who were supposed to be at Decathlon at 4:00 AM, Gokool Bhai, Lohith Bhai and Anirban did their best to brave the waters but the engines failed and never started. The gates of Decathlon in these wee hours were opened by Surbhith Kant Dixit’s sister who reached earlier than anyone. Emotions: It was during our Freedom Ride planning phase when the incident of Surbhit Kant Dixit has taken place. One concall with all our other city chapters, we unanimously decided that we shall dedicate this Freedom Ride to our beloved friend and a great rider. Some of us still can’t believe that Surbhit kant Dixit is no more with us, was his personality. Many of them have planned to ride this day but 3 of them have met us in Yelagiri who came with Tshirts with pictures of Surbhit Kant Dixit printed over and shared their words. Goosebumps: It was not just about the ride, it was patriotism. 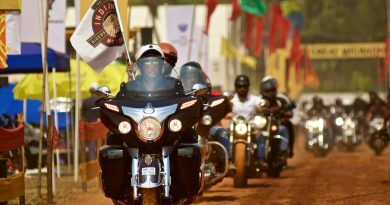 We as bikers hardly miss a chance to ride with pride with our National flag or be a part in such events. As a lead I had the opportunity to witness not 10, 20 or 30 but 65 of us who made it to the event riding in perfect lanes in the rains along with our flags. Passersby saluting, cheering up all the riders including Manpreet Kaur who was the single female rider who rode all the way along with a pillion. Great to hear the words from the members from the Indian Air force, yes, we are one and such events reminds us it every time. Brotherhood: Hats off to the riding crew Anup Tudu, Arun Hilson, Sandeep KC, Vinod, Achuth Bhai, Mamatha, Phanindra, Binay, Uttam Jeevan, Gaurav Bhai, Paritosh, Usman bhai and others who took charge of every situation. Members from Coimbatore, Dr. Senthil, members from Chennai Gowtham, Mr. Aravind Prabhu & family along with everyone who reached the venue yesterday itself, thank you all. You made the ride more dear. 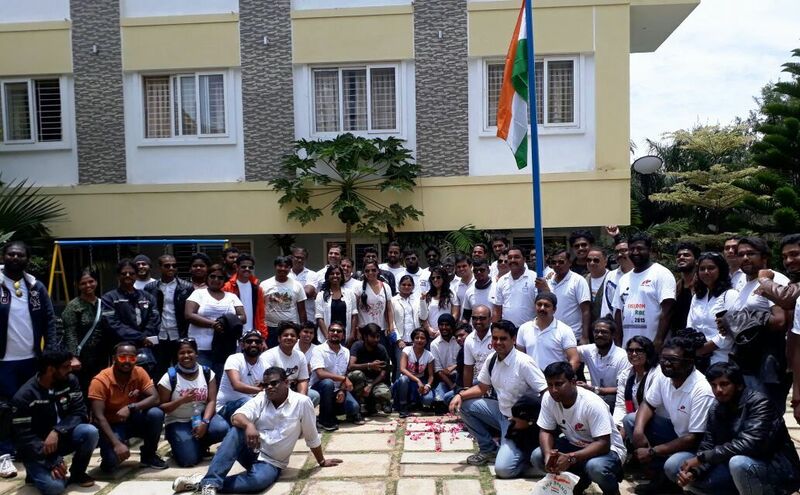 Hoisting the flag by our member’s father Mr. Jhonny. Though not able to join at start point it was wonderful to see you all joining in at different points on the ride till Yelagiri, Nabarupam, Harish bhai, Abhinandan and many more. Rajesh from highway delite, not only partnering with the event but being with us throughout the ride from the start till the end, arranging things even with complete offsets from the ride planning phase. 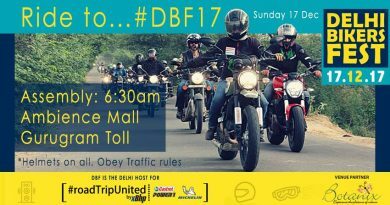 Sorry as we were unable to coordinate many of you in joining the event as this was our first experience in handling such downpour on such a ride. Each one of you were dearly missed and remembered throughout the ride including Abhishek who started for this ride from Shimoga which is 280km and Santosh bhai whose engine also gave up. 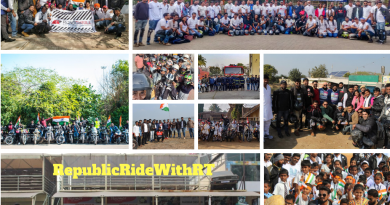 Many of you have indeed tried to be a part or wished to be, don’t worry we shall do it again next year, our Freedom Ride with RT. Thank you and happy Independence day once again. It was actually a ride which will be remembered for a very long time…. the start was the most thrilling of all and not to mention rain god playing hide and seek often throughout the ride! I enjoyed it a lot. There is always a better way of doing everything…but, this was nothing less than the best! Good job organising team… because of you all, people like me enjoy with little or nothing to worry about..